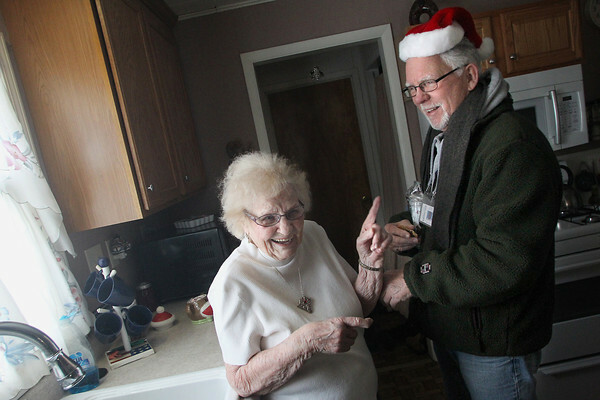 Gil Glick (cq) jokes with Irene Kolkema (cq) after making a Meals on Wheels delivery to her Traverse City home on Tuesday morning. "It's been a big help to me, it really has, said Kolkema. "It's something or me to get out of bed for."